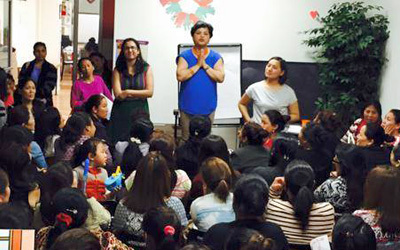 Adhikaar, meaning "rights" in Nepali, is a New York-based non-profit organization working with the Nepali-speaking community to promote human rights and social justice for all. 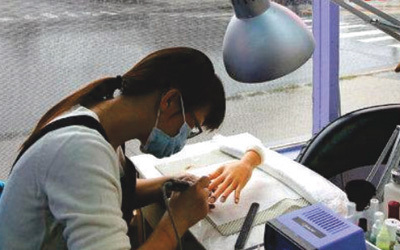 Find out more about the New York Healthy Nail Salons Coalition, a campaign Adhikaar proudly co-founded. Due to the magnitude 7.8 earthquake in Nepal on April 25, Secretary of Homeland Security Jeh Johnson designated Nepal for Temporary Protected Status due in part to advocacy done by the Adhikaar team. Namaste! Tashi Delek! Welcome to the Adhikaar community! Since 2005, Adhikaar has been committed to improving the lives of the Nepali-speaking community and getting our voices heard in the social justice movement. 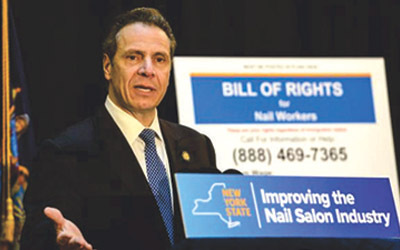 We have assisted thousands of individuals and families; trained hundreds of new leaders; and successfully changed policies and created new laws at local, state, national, and international levels, including the New York State Domestic Workers Bill of Rights and the International Domestic Workers' Convention. Thank you for visiting our website, and thank you for your commitment to justice. Please visit us at our Community Center, Sunday to Thursday. In the meantime, join our online community and learn about our current work. "Like" our Facebook page, and follow us on Twitter. We balance the day-to-day needs of our community with long-term strategy and vision of systematic change. It is important to get this week’s paycheck on time, and equally important to work to create a pathway to citizenship for all immigrants. Our programs are guided by community needs and demands. We listen to our members when they talk to us about their lives, from their health concerns to domestic violence. We respond to these needs through direct service, hands-on trainings and conferences, community organizing and base-building, advocacy and leadership development. In all of our work, we embrace a social justice vision bound in dignity and equity for all, with Nepali voices at the center. We actively prioritize leadership of marginalized groups, including women and youth, within the Nepali-speaking community. tax-deductible to the extent allowable by law (tax-id: 20-3384725). Join Adhikaar’s growing team. We have a fast paced office with many programs going on at once. Adhikaar's dedicated interns and volunteers provide crucial support to our members, staff, and board. A list of resources useful for our community members, including other organizations and services.